4 years of College Ball? WHO ARE THE MOST SUCCESSFUL WOLVERINES AFTER HIGH SCHOOL? 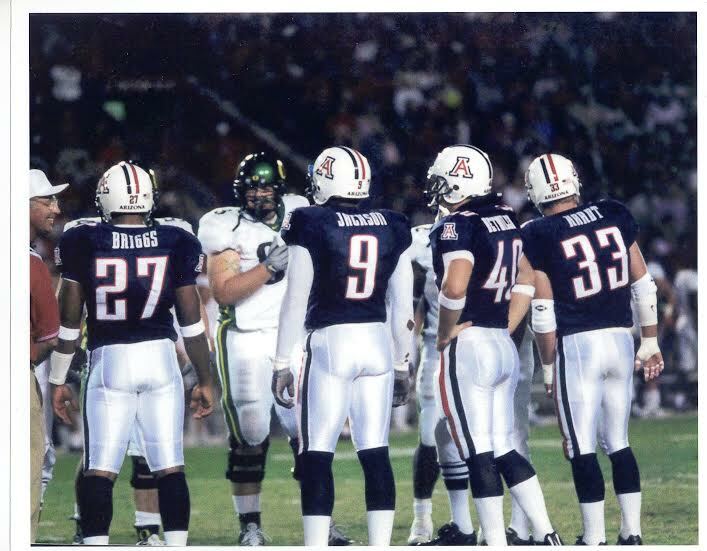 GUYS WHO PLAYED AND FINISHED 4 YEARS OF FOOTBALL COLLEGE FOOTBALL…. 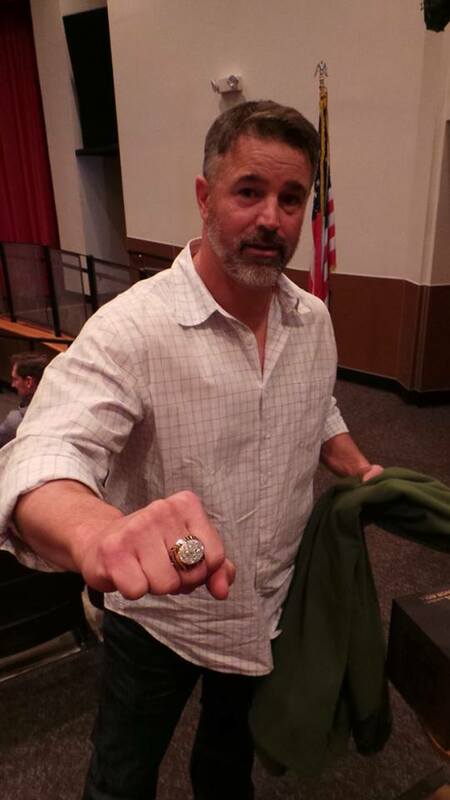 Popson has a Super Bowl ring as he was part of the 1994 49ers. Ted Popson is the only Truckee graduate ever to play in the NFL but he never played football for the Wolverines. 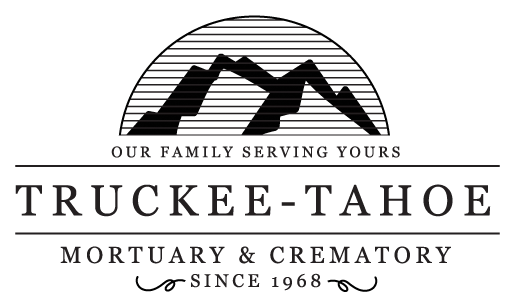 Ted moved to Truckee in 1981 during his Sophomore year of high school. He was a great athlete and loved to compete. He played soccer and baseball at the previous schools that he attended. At Truckee Ted was a standout Wrestler coached by Larry Leatherman who just recently retired from the Tahoe Truckee School District. Ted graduated from Truckee in 1984 putting him in the class who’s football team won it all in 1983. So, why was Popson not on this team? It wasn’t for lack of trying. Popson was never approached by the football coaches at Truckee but did participate in a spring workout where a coach told him to stick to wrestling. WOW! It is a little like the Michael Jordan story. Jordan got cut from the freshman basketball team only to become the best basketball player that ever lived. Truckee had a NFL caliber athlete practicing with the team and a coach actually told him to stick to wrestling? I’m not sure which coach turned Popson away but the 83 team had 9 players going both ways and they could have used more players. So, after College of Marin Ted was off to Portland State where he put in two seasons. Popson was drafted to the New York Giants in the 11th round of the 1991 NFL draft. He spent one season over seas playing in the European League for the London Monarchs. 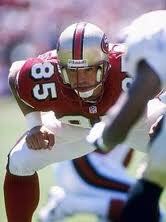 After a short stent in the World League Popson was picked up as a free agent by the San Francisco Forty-Niners in 1994. He spent 4 seasons with the Niners and won a Super Bowl with them in 1994. Popson’s best season in the NFL was 1996 when he stepped in for an injured Brent Jones. He recorded 26 receptions for 301 yards and 6 TD’s. His best game came against the Bengals in 96 when he caught 8 passes for 116 yards and 2 TD’s. 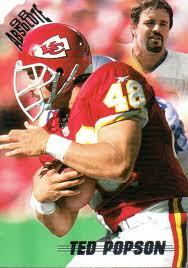 In 1997 Popson journeyed to Kansas City where he would put in two more seasons with the Chiefs. In 97 Ted had 35 receptions for 320 yards and 2 TD’s. Unfortunately his career was cut short because of injuries. Popson’s career stats: 68 receptions, 980 yards, and 8 TD’s. What was Popson’s favorite moment of his career? Ted Popson’s story is remarkable. A small town kid who was turned away by football coaches in a school with around 350-400 students in it. His goal was to graduate high school and go to college. He had no funding to go to college so he began working. When he finally got a chance he started taking classes as a part time student paying his own way and continuing to work. Playing football was not even on the radar. His brother asks him to walk on with him and join a team that was having very little success. His college team went 1-19 in the years he was there but he put in one of the best seasons a tight end could have catching 68 passes and catching Portland State’s attention in the process. Ted would then get a scholarship, finish his education, get drafted to the NFL where he was part of a Super Bowl team! I think it is a great message that hard work and setting your goals high will payoff and to never let others get in the way of your goals and dreams. Dreams become goals when you put them on paper and no goal is too high if you are willing to put the work in to get there. I want to thank Ted for taking the time to share his story. 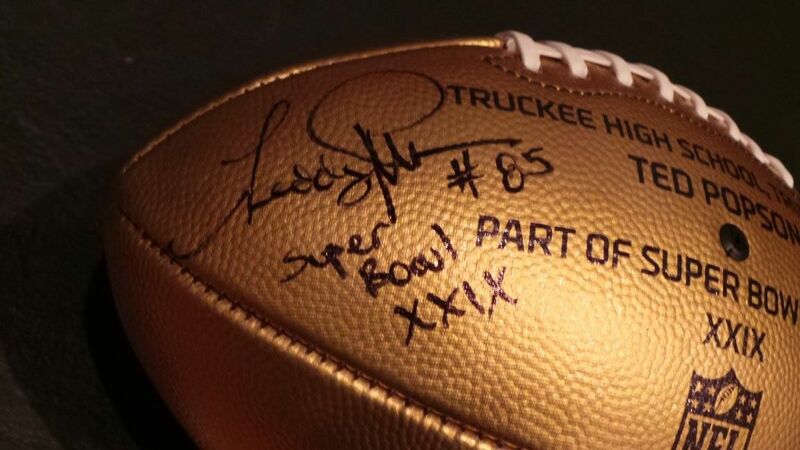 On December 14th, 2015 Ted Popson stopped by Truckee High School and presented a Gold Football to his Alma mater. 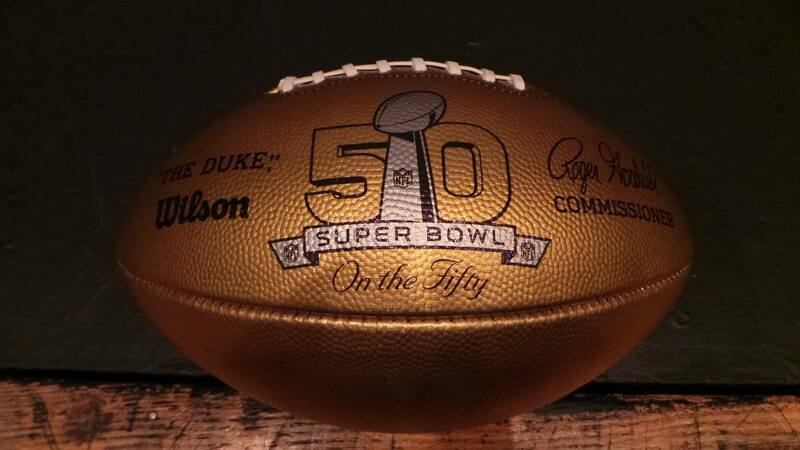 The Gold Football presentation is called the Super Bowl Honor Roll. The NFL, in its Golden Super Bowl Anniversary, is honoring past Super Bowl Participants with Gold Footballs to present to their High School. The football represents accomplishment and ties the player’s success back to where things all started. 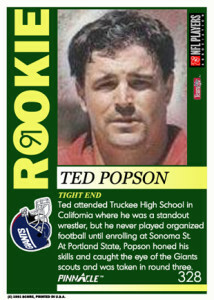 Ted Popson graduated from Truckee in 1984. He played for the San Francisco 49ers in the mid 90’s and was part of the 1995 Super Bowl Champions when the 49ers beat the San Diego Chargers in Super Bowl XXIX. Popson has a very rare and unique story on his journey to the NFL as he never played High School football stating that he was a late bloomer. As for the Gold football Truckee is one of 433 California schools to be honored. California leads all States. As for Popson, he is just one of 23 Northern NIAA graduates to play in the NFL. Truckee HIgh School is part of a rare group as just 2,000 schools out of over 35,000 were honored with a Gold Football. This is a really cool thing for our School and Community. Popson visited the Truckee Football team in the Spring of 2014 and participated in a practice. Helping instruct our players and most of all spoke to our players about making good decisions and being upstanding individuals on the field, in the classroom, and in the community. This is a message that he would send again to the 100 individuals that were in the Truckee Theater December 14th. Truckee High School wants to Thank Ted Popson again for honoring and presenting us with the Football. Popson with the Truckee Kids. Rick played on the 1983 State Championship team as a junior. He had some of the best games as a running back in our history. The most memorable being the State Championship game where ran all over the Elko Indians rushing for 209 yards and 4 TD’s. He is 4th all time in rushing yards with 1,740 yards. Unfortunately his senior year was cut short by an injury. In 1984 at Whittel High School Neptune would rupture his spleen. He didn’t know that he ruptured his spleen and actually finished the game. But he was rushed to the hospital right after the game in serious condition and would not play another High School football game. 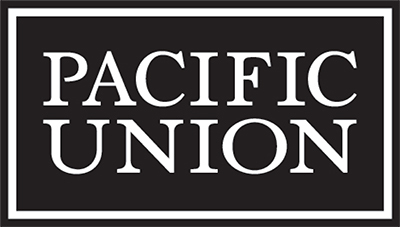 He moved on to college ranks where he had an academic scholarship to UC Davis. He played all 4 years for the Aggies as a defensive back. Neptune currently is a professor and researcher at the University of Texas. He has a PHD in Biomechanics and integrates musculoskeletal modeling, computer simulation and experimental analysis techniques to analyze various patient populations including lower-limb amputees and those with post-stroke hemiparesis. Needless to say Neptune has done very well for himself and is very successful. My goal is to get more information from him and his playing days at both Truckee and UC Davis. Brian Mulloy is statistically littered all over the Truckee Record Book. Mulloy sits second in All-Time rushing yards at 2, 059 yards. 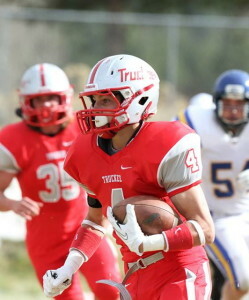 He is only one of 3 players who have over 2,000 career rushing yards at Truckee. He is 3rd All-Time in career points with 219 points and has a career 29 TD’s. Brian also has the 3rd longest Kickoff return for a TD at 91 yards at North Tahoe in 1991. 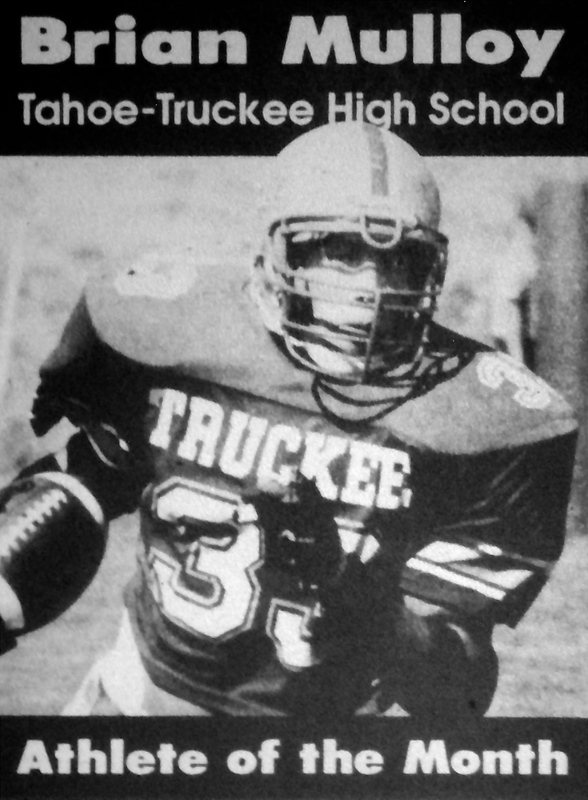 But it was his presence on defense that lead Truckee to a State Championship in 1990. In his junior year he was a 1st team All-League and 1st team All-State Free Safety. 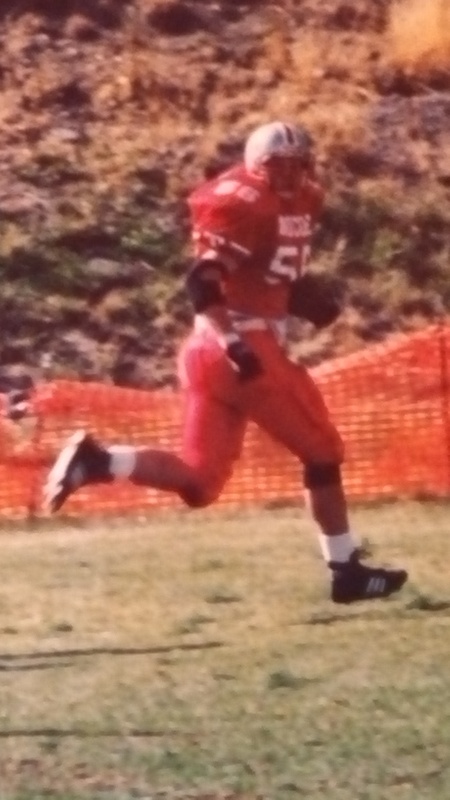 Mulloy was a three year starter for Truckee at Free-Safety. He had 8 career INT’s. Free Safety is what he played in College when he attended the Air Force Academy. Brian played 4 years for the Air Force. His Junior year he made the second team and recorded 8 tackles. His team made it to the Coper Bowl in Tucson Arizona where they lost 41-55 the Red Raiders if Texas Tech. 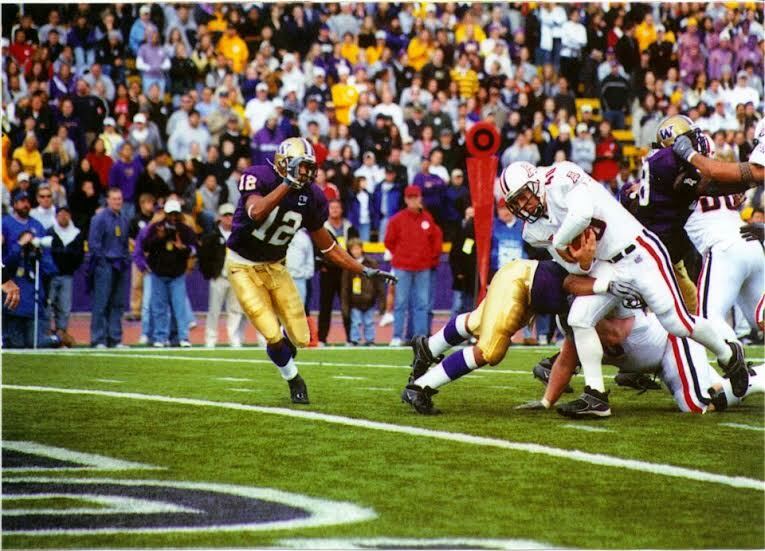 On October 20th 1996, his senior year, his team traveled to South Bend where the Falcons upset the #8 team in the nation Notre Dame 20-17 in overtime. Playoffs in 96 vs Moapa. Mike Detwiler is one of the few Wolverines to play Division I football. He was a 2 year starter for Truckee at both Tight End and Linebacker. Mike was a junior on coach Shaffer’s first State Championship team in 1996. As a junior, Mike was 1st team All-League at both Tight End and Linebacker. 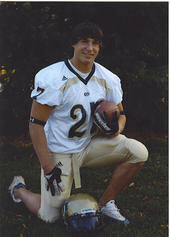 He was also 1st team All-State at both Tight End and Linebacker. He had 6 interceptions and took 4 of them back for a touchdowns. On the offensive end He had over 300 yards receiving and 3 TD’s. In Mike’s senior year Truckee would not lose a game until the Semi-Finals which is part of the 3rd longest win streak in Truckee history at 14 games. Detwiler continued his dominance his senior year again being selected to 1st team All-League as Tight End and a Linebacker. He was a first team selection to the All-State team as a Tight End and was voted Lineman of the year as a Tight End, which tells you how good of a blocker Detwiler was. It was his physicality and ability to block which gave him success at the NEXT LEVEL. Detwiler at Washington heading in for the SCORE! 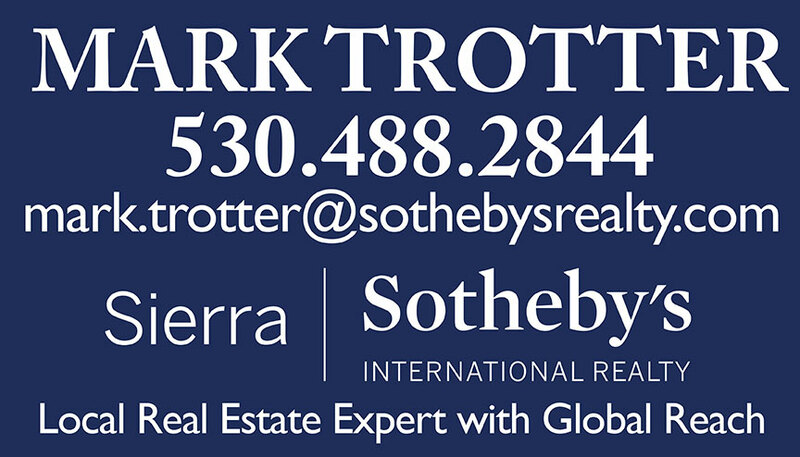 Mike now lives in Truckee with his wife Emily. He works in Reno for an aerial mapping company. Currently working on his Masters degree in Geomatics from the University of Florida and he is hoping one day to get out of the job world and back into sports and/or football! Kris Wicks graduated Truckee High 1995. He played on the 92,93,94 Varsity football teams. He Started on the Offensive line as a sophomore for the Western Division Champion 1992 team. The following year, as a junior Kris was a key part of the offensive and defensive lines for the 1993, Division and State Champions. He earned 1st team All state Offensive Line honors. That Year coach Estabrook chose not to have any players on the all-conference team. 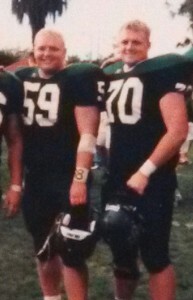 In 1994 the 6’4″ 260lb senior dominated the trenches. Kris was a Co-Captain, and helped the team to another western division title but fell short at the state championship, becoming the state runner ups. Wicks was named lineman of the year and took home 1st Team All Conference Offensive Line, 1st team All Conference Defensive line, and Western Conference MVP, a very rare award for a lineman but his impact on both sides of the ball impressed every coach in the league. Kris helped fellow teammate Jame Van Brunt to become the all time leading rusher in Truckee history and seventh all time in the state of Nevada for a single season. He also was named 1st team All State Offensive line and 1st team All state Defensive line. 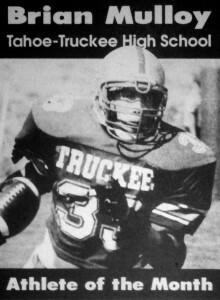 Truckee High School named named Kris the 1995 Male Athlete of the year. During his senior year Kris was recruited by many colleges, UNR, UNLV, Oregon, Oregon State, Army, Air Force, Colorado State, BYU, Utah State to name a few. However none offered a scholarship to play. Wicks also was a member of the Track and Field team at Truckee. He was the 1994 State Runner Up for shot put and Discus and the 1995 State Champion for shot put and Discus. (He may still hold the Truckee records for both events). Because of his throwing abilities he was offered a Track & Field Scholarship to California Polytechnic University, San Luis Obispo and a guaranteed spot on the football team. Playing two sports at an academic school like Cal Poly turned out to be more than Kris could handle. After one year of doing two sports he chose to stick with football and they (football program) picked up the scholarship. Including a red shirt year he played 5 years on the offensive line for the Cal poly Mustangs while studying Business administration and construction management. Currently Kris is part owner of a small speciality sub-contractor, Holland Waterproofing. 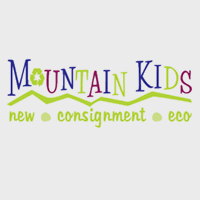 Kris married Lindsay Holland, who also is a 95 Truckee graduate, they have been together since High School and live in the Sierra Valley, 45 miles north of Truckee with 3 kids, Justin (11), Peyton (9), and Ashely (7). Kris is very active in their sports, coaching baseball, basketball, and soccer. Randon Nunez had one of the most dominate defensive senior years in Truckee History in the fall of 2004. He recorded 127 tackles, had 7 INT’s and scored 3 defensive touchdowns. Many of those 127 tackles was at the line of scrimmage which is impressive because Randon played 12 yards off the Ball at Free-Safety. Nunez is 3rd All Time with 12 career interceptions. He was voted in as a Captain his senior year and lead his team to a State Championship. He was the NIAA Defensive Player of the year for the 3A, Northern Nevada’s Defensive Player of the Year and he was Truckee’s Defensive MVP. He was first team All-League and 1st Team All-State. On top of all of this Randon was an great student receiving the All-State Academic Achievement Award. 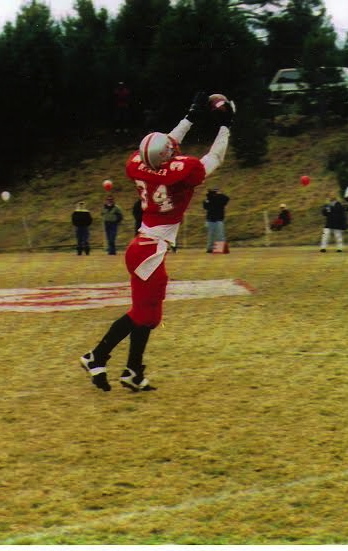 From High School Randon went on to Eastern Oregon to play for a year. It was not a good fit, so Randon moved on…to the beaches of Santa Barbara. 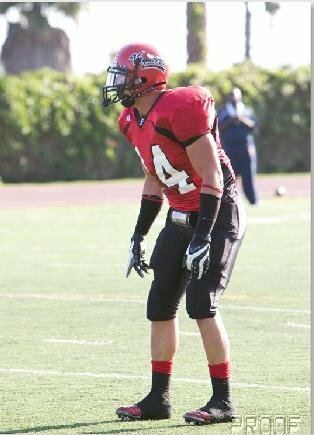 He played for Santa Barbara City College and lead the team in tackles as a freshman in 2006 with 118. He also had 4 INT’s. In 2007 he was a team captain and reeking havoc in the division. He was first team All-Confrence Strong Safety. He lead his team in tackles again with 103 tackles and 4 sacks. Randon was The Vaquero’s Defensive MVP in 2007. He made his mark in Santa Barbara and was a Pioneer opening the door for many players from Truckee to come down and play. The Santa Barbara coaches took notice to the little Town of Truckee through Randon Nunez. After Santa Barbara Randon earned a scholarship to Concord University a Division II school in West Virginia. In 2008 he had 39 tackles and 1 INT but unfortunately Randon suffered a career ending knee injury while at Concord. 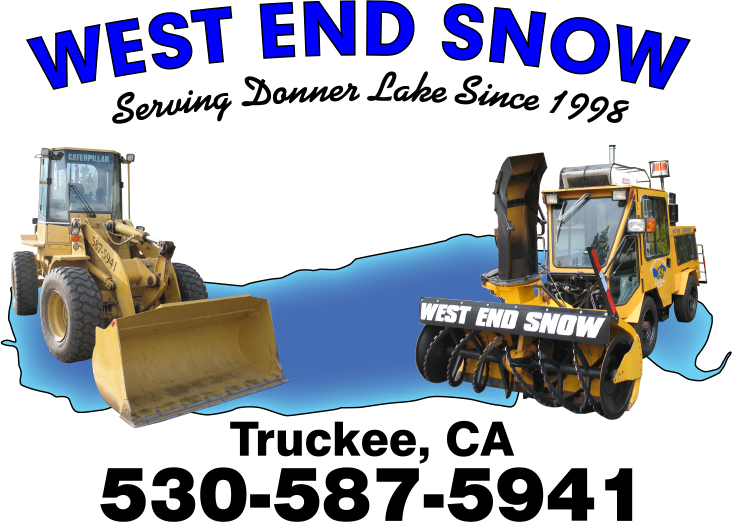 Randon currently is part owner of his Dad’s landscaping business. 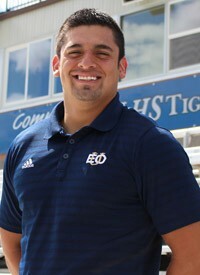 Luis becomes one of few Truckee grads to finish 4 years of college football. Nice job Luis! At 6’0 210 Luis plays middle linebcker. Played outside and middle backer at Feather River college where I he a total of 65 tackles 1 interception 1 TD, 2 forced fumbles.. Transferred to Eastern Oregon University during the spring of 2012. Played behind 2 All-American linebackers so mostly played special teams for his first season recording 32 tackles, 1 forced fumble. Medical redshirted this season due to calf injury. Luis will be working hard in the offseason to get ready for his senior year. Lois finished his football career this fall and becomes one of few Truckee High school football players to actually finish 4 years of college football. Luis in his senior year recorded 32 tackles and had a fumble recovery. He is currently working as a firefighter. Ryan Macken, Truckee’s All Time leading tackler with 386. Ryan Macken, Truckee Grad 2009, finished his senior year at Washburn University this fall. Macken was on a full ride and will graduate this spring of 2014. 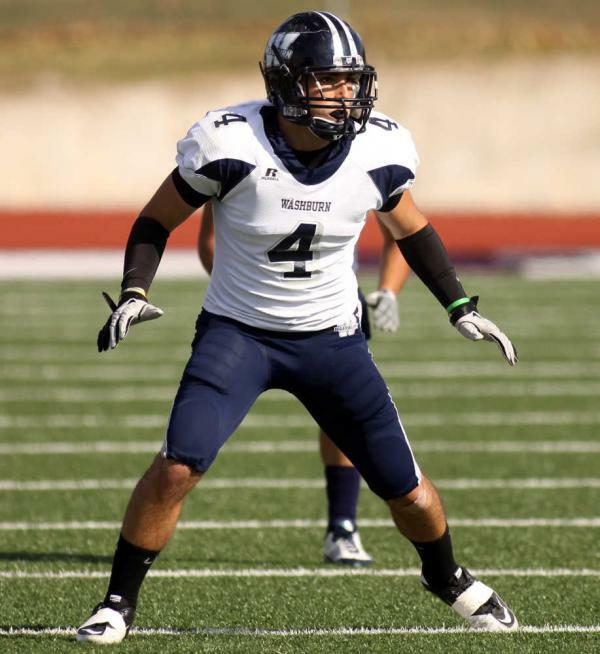 At Washburn: Has played in 24 games making four career starts recording 82 tackles with 45 solo stops and 7.5 tackles for loss. In 2012: Recorded a career-high 14 tackles with five solo stops against Lincoln on 10/6 … started three games during the season playing in all 11 … finished fourth on the team with 60 tackles with 34 solo stops with 5.5 tackles for loss with a forced fumble and two pass break ups … added 10 tackles against Northeastern State … named the Ichabod defensive skill player of the week after the Central Oklahoma and Lincoln games … also received two Ichabod big hit awards … a member of the MIAA Academic Honor Roll. In 2011: Appeared in 11 games making 22 tackles with 11 solo stops … also added two tackles for loss and a pass break up … had six tackles against Lincoln with three solo stops … a member of the MIAA Academic Honor Roll. In 2010: Played in two games as a redshirt freshman … recorded a tackle against Emporia State in the regular season finale. In 2009: Sat out the season as a redshirt … named the Ichabods’ defensive work team player of the week prior to the game with Fort Hays State. Zak was recruited heavily in 2012 by multiple schools. Schools that would include Cal, Fresno State, New Mexico State, and Florida Atlantic. 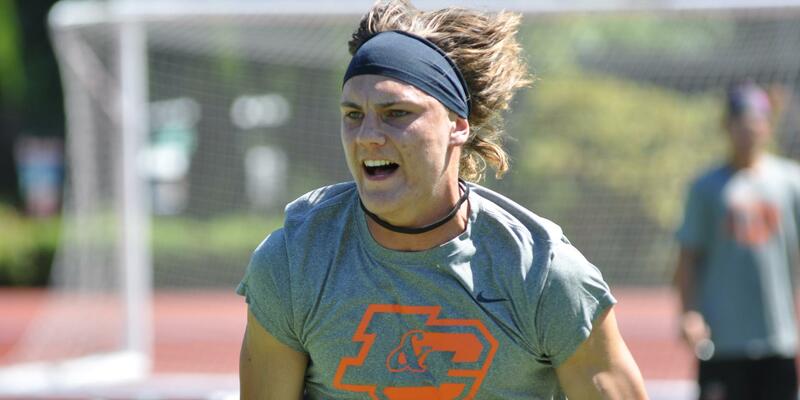 But in the end he had two offers, one from Northern Arizona and one from UC Davis. Pettit earned himself a full ride at UC Davis and now joins a small group of Wolverines that finished 4 years of college football. In the 2013 season he recorded 20 plus tackles and 3 sacks. In the 2014 season Zak had an injury plagued season and ended up having toe surgery over the winter. But he still managed to appear in 10 games, picking up starts against Montana and Sacramento State… Tied with LB Steven Pitts with 6.5 TFLs, including two sacks… TFL losses totaled 23 yards, tied for second-most on the team… Had 41 tackles, ranking sixth on squad… Had a career-high nine tackles (4 solo) against Northern Colorado, had eight stops at Portland State (6 solo) and assisted on six tackles at Colorado State… Brought down Eastern Washington QB Vernon Adams for a one-yard loss for his first sack of the season, and then got to Northern Colorado’s Sean Rubalcaba for a five-yard loss for his second… One of four Aggies with at least two sacks last season. 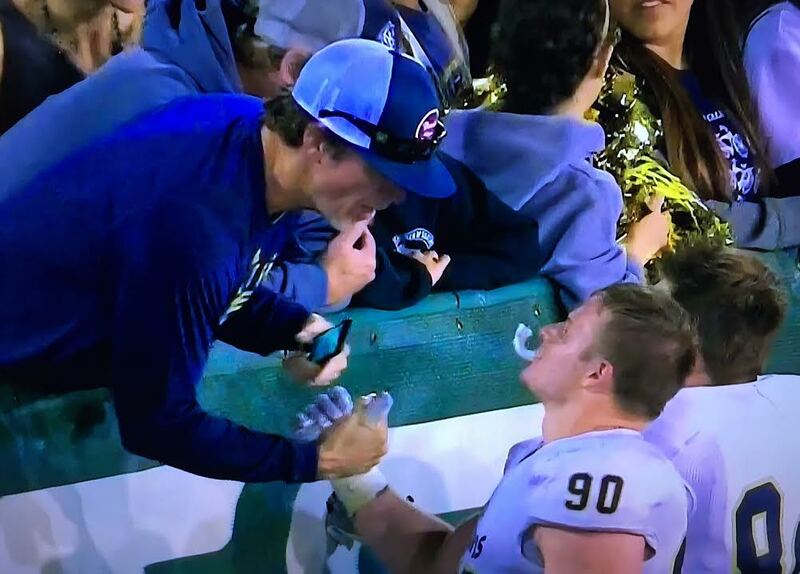 Zak Petitt greeting his Dad after the Causeway Classic 2015. In 2015 Zak played in 11 games for the Aggies. He had 33 tackles and 1.5 sacks. He also had 2 tackles for loss. UC Davis looks to be changing their coaching staff so we’ll see what Zak’s senior year brings. In Zak’s senior year he turned it on starting in 11 games. He recorded 42 tackles, 10 for loss, had 2 sacks, and 2 forced fumbles. He turns the page now looks forward to moving into his career after graduation. Congratulations Zak in a great college career: 137 career tackles and 8.5 sacks. Petitt #40 coming out pre-game. Petitt had 91 total tackles for the Bengals in 2015. Pettit heads North to Idaho State to finish out his career. Jake is part of the “Mountain Men” at Santa Barbara Junior College. He got a chance to play as a freshman when Jackson Weed got hurt in 2013. He ended the season with 55 tackles and 5.5 for loss. 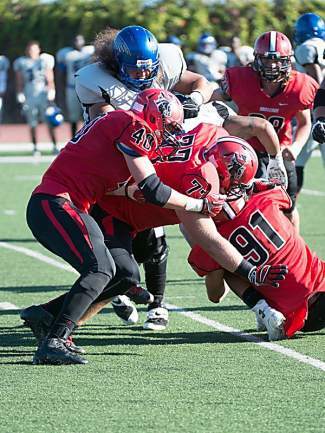 Jake came back in the 2014 season as the starting inside linebacker for the Vaqueros and earned himself a scholarship to Idaho State. In 2014 Jake was named Santa Barbara’s MVP. This past season for the Bengals Jake Pettit appeared in 11 games for Idaho State and was the 3rd leading tackle on the team with 91 tackles. He had 4 tackles for loss. Jake had two good years for the Bengals but his senior was not on the field as much. He still found a way in 2016 to record 43 tackles giving him 134 career tackles for Idaho State. Both Jake and Zak both played four years of college football and both finished out at the Division 1 level. Really impressive and we are all proud of them. Ever since dominating their opposition during the Wolverines’ historic run of four consecutive state championships, the Pettit twins had the looks of Division I talents. It should come as no surprise, then, that the brothers’ football glory days are still very much alive. Jake Pettit signed his National Letter of Intent last Wednesday to play at Idaho State University, which lured him aboard with a full-ride athletic scholarship. He joins his brother Zak — who received a scholarship out of high school to UC Davis — in the Division I ranks. It’s official! Another Mountain man signs out of Santa Barbara. Like Zak, Jake was a likely candidate to earn a scholarship at a Division I program before suffering a knee injury that kept him off the field the first half of his senior season, in 2012. A versatile threat on both sides of the ball, he returned in time to help lead the Wolverines to their fourth straight state title. 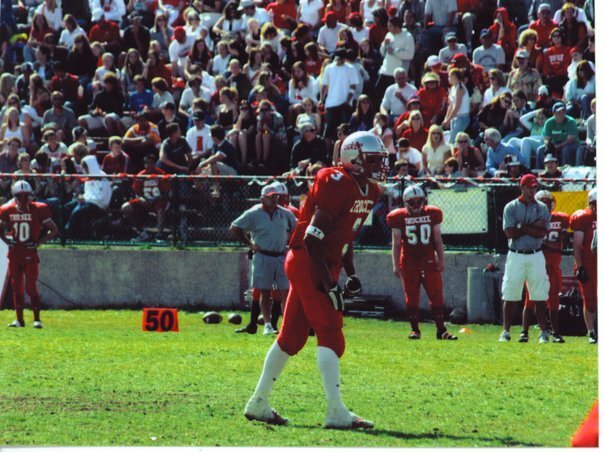 He then followed in the footsteps of many Truckee players before him at Santa Barbara City College, where he starred the past two seasons at linebacker. 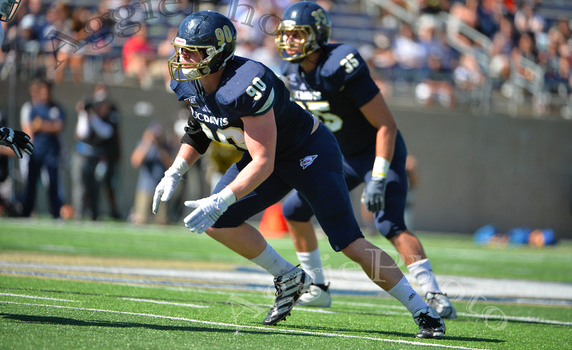 Jake Pettit, at 6 foot 4 and 220 pounds, was third in tackles with 56 in eight games for Santa Barbara this past season. He averaged seven tackles a game, which ranked No. 1 on the Vaqueros squad. 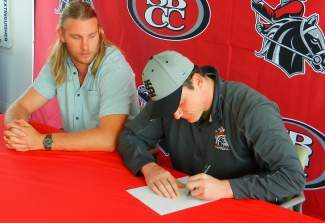 “Jake is a two-year guy who came from a winning program,” said Santa Barbara City College head coach Craig Moropoulos, who also coached a slew of talented Truckee grads before Pettit, including Randon Nunez, Morgan Nevin, Mitch Nelson, Colin Christian, Jackson Weed, Dillon Sheedy and Braden Waters. Truckee grad Dennis Zirbel also played at Santa Barbara in the 1970s. Pettit enjoyed a successful high school career on the back stretch of Truckee’s four-peat, during which the Wolverines made national headlines with a 41-game winning streak. His junior season he rushed for 1,006 yards on 116 carries (8.67 average), with 15 rushing touchdowns and three receiving. While his knee injury limited his numbers his senior year, he still finished with nine touchdowns on offense and recorded 65 tackles from his linebacker position. Pettit said he stayed in contact with several four-year colleges during his time at Santa Barbara, including Cal Poly San Luis Obispo — where his parents now reside — as well as a couple of Division II schools. One day over the recent Christmas break, he received a call from Roger Cooper, co-defensive coordinator at Idaho State. 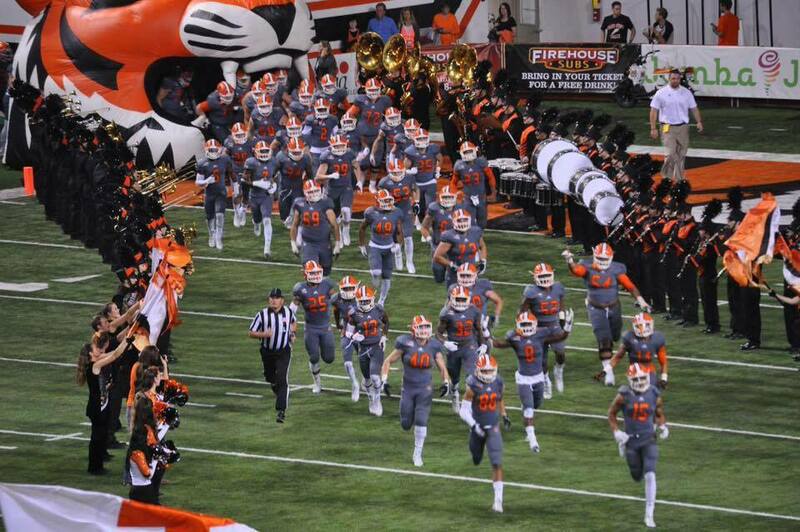 Idaho State is a member of the Big Sky Conference and is located in Pocatello, which is about a two-and-a-half-hour drive north of Salt Lake City in eastern Idaho. Pettit said he looks forward to the move. 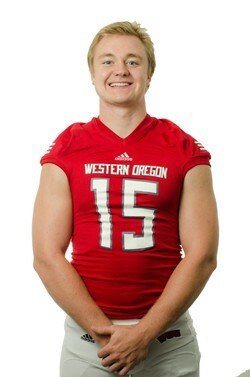 Nelson returned 3 punts for Western Oregon in 2014 and looks to have a breakout senior year. Nelson had two successful years at Santa Barbara City. He played Free-Safety and returned punts for Santa Barbara. He then got a full ride to Southeast Missouri. But it was not a good fit and Nelson made his way back to the West Coast. 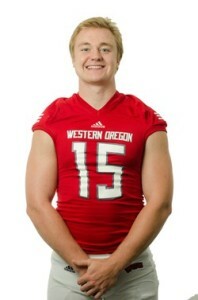 He is now playing at Western Oregon with high school teammate James Depew. In his senior year he put it all together and finished out a very successful college career. As a Nickel back he was 6th on the team with 41 tackles. He also had an interception and 7 pass defenses. Mitch graduated in the spring of 2016 and has moved on to the next stage of life. Mitch will go down in Truckee history as one of the most dynamic players. Mitch is part of the 2009 and 2010 State Championship teams who went 24-0! James is a slot receiver at Western Oregon on a full ride. In his freshman season he was playing well but was hit with and ACL tare in practice. He has recovered and just finished his sophomore year. In the last game of the year at Humbolt DePew was put in the game as a Running back after an injury took place to the starter. He ran for 112 yards on 20 carries and 2 TD’s. James played in 10 games in 2013 finishing with 6 receptions, 72 rec. yards, and 2 rec. TD’s. James played in 9 games in the 2014 season, caught 9 balls for 116 yards and 2 TD’s. He had his best game vs Humboldt State catching 5 passes for 67 yards and a TD. James comes back in 2015 to finish out his football career. James finished out his college career in 2015. He had just 7 touches on the season and was underused. Though he will have one more year of eligibility but has decided to pass it up to get on with the next stage of his life. He is one of few Wolverines to actually play 4 years of College football and that’s something to be proud of. James one was part of the 24-0 Wolverines and arguably the best athlete in his class lettering in Football, Basketball, and Baseball. Shaffer at Their College. Served as the Rams holder and backup QB for 2 seasons. Pat will enter into his Junior year next year a Thiel College in Greenville PA. Pat has started multiple games for their JV team. In 6 starts Pat has passed for 540 yards and 6 passing TD’s. He also had a rushing TD this past fall. Shaffer heads into the 2015 to finish out his football career and is on pace to graduate. 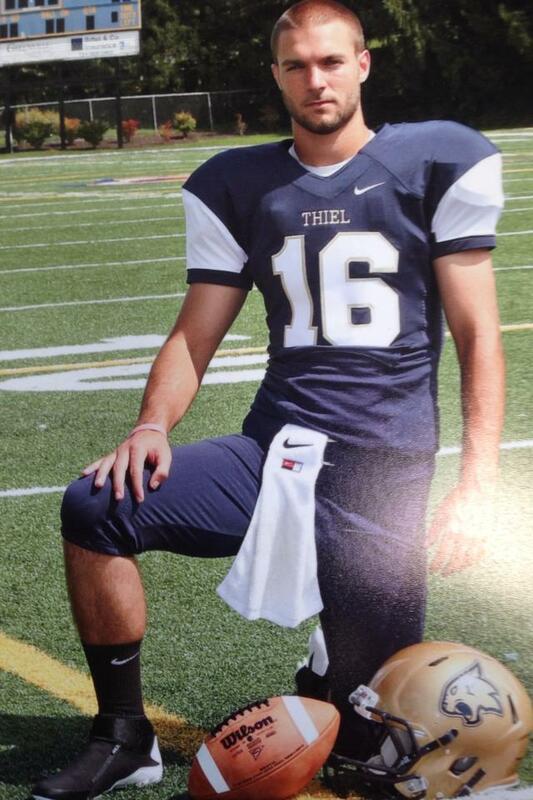 He is the number 2 QB entering his senior year and has worked himself onto the field as the Tomcat’s holder. Pat battled with a coaching staff that struggled to have success. At the end of his senior year the coaches chose to go with youth and basically give up on their 2015 season. Pat never really got a fair shake to be the starter even after the benched their starting QB who moved to WR. Pat graduated in the spring of 2016 and is looking forward to moving back to the west coast. He will be entering into the Police Academy. Shaffer joins a select group of those who finished out a 4 year college playing career. As a Wolverine he lead one of the most significant drives in Truckee history taking the Wolverines 72 yards with just 4 minutes and 33 seconds to play. Truckee went down by 3 after Shaffer threw an interception that went back for TD by Fallon’s Frank DeBraga. Pat drove the team down and capped off the comeback victory with an 11 yard TD pass to Erik Homer. It was Truckee’s 35th win in a row and secured a spot in the State Championship for their 4th year in a row. Retzlaff was a D-tackle and O-Tackle during Truckee’s 36 game win streak graduating in 2012. He is a starting MLB for Lewis Clark in Portland Oregon. 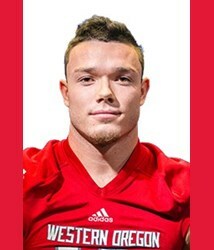 Stein Retzlaff, a Truckee grad and linebacker at Lewis & Clark College, earned Northwest Conference Football Player of the Week honors back in October after helping guide the Pioneers to their first win of the 2013 season. Retzlaff, a sophomore, ended the game with two tackles for loss and an interception to go with his 14 tackles. He led the team with 81 tackles on the season. In his junior campaign Retzlaff had 68 tackles, 25 were assisted, with a sack. Unfortunately, the team did not win a game. In 2015 Stein had a great senior year. Playing along side his brother Thor being the highlight of the season. Stein was awarded All Northwest Conference as a Linebacker. He was 1st in his division in solo tackles with 56. He had 101 total tackles, 6 sacks, and 8.5 tackles for loss. He did all of this in just 9 games. 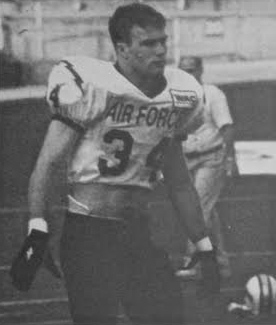 Stein ended his career at Lewis & Clark with 263 tackles. Family is important to Truckee High grads Stein (57) and Thor (47) Retzlaff, which made playing together at Lewis & Clark College that much more special for the brothers. Late last fall, 2012 Truckee High grad Stein Retzlaff stepped off the Pine Bowl field in Spokane, Wash., with reason to be proud. 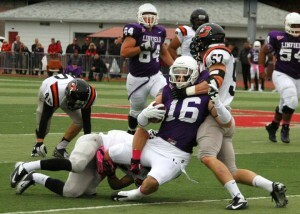 The senior linebacker had just recorded 18 tackles in his final game for the Lewis & Clark College Pioneers. 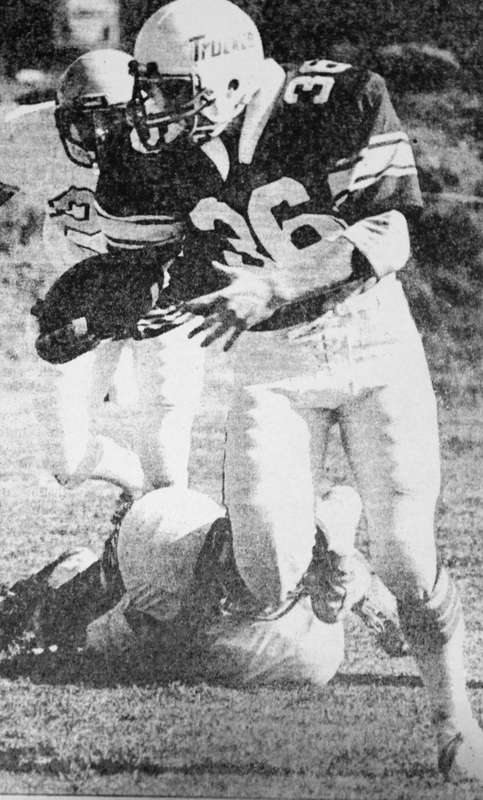 The game, coincidentally — a 47-19 loss to the Whitworth Pirates — took place where Retzlaff’s collegiate career essentially began. Primarily a special teams player before the final game of the 2012 season, he replaced an injured teammate in the season finale at Whitworth, made nine tackles and went on to start every remaining game in his career. In four seasons Retzlaff tallied 263 tackles, including 101 his final season, the most for Lewis & Clark since Chris Stokes had 103 in 2003. Retzlaff was the Northwest Conference’s leading tackler his senior season with 11.2 per game, which earned him a selection to the All-Conference Second Team. Retzlaff’s teams won just five games in four seasons, and only one since Sept. 26, 2012. The Pioneers were 0-18 during Retzlaff’s junior and senior years. “I came from never losing a game in my varsity career at Truckee High to a new team where we had to fight for every inch we played for,” he said. Prior to the 2015 season, however, the Pioneers hired national championship-winning head coach Jay Locey to change the trajectory of the program, and throughout the season, Locey credited the seniors for laying the foundation for the program’s future success. The coming years are particularly important to Retzlaff, as a special teammate of his still has two seasons left to play for the Pioneers — younger brother Thor. “Playing alongside my brother has been an opportunity I will cherish for the rest of my life,” Stein said. “As seniors in Coach Locey’s first year, we knew we had to lay a solid foundation and confidence among the incoming classes. 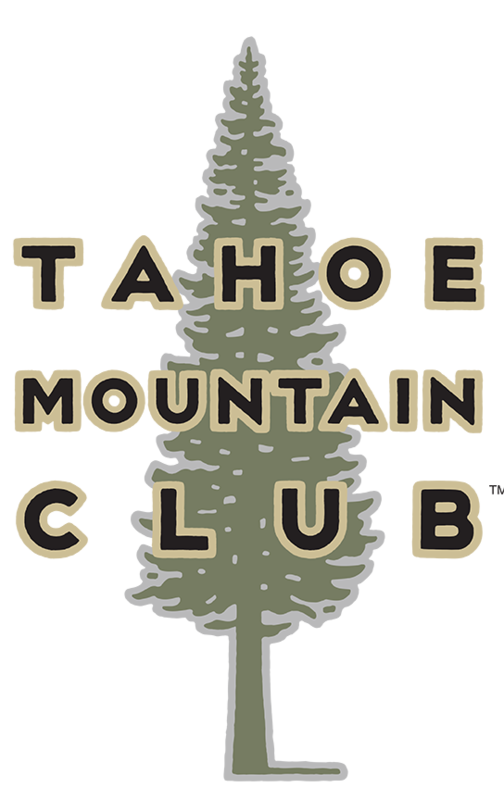 Thor, who graduated from Truckee in 2014, suffered a season-ending shoulder injury in the first game of his freshman season. The injury did not hold him down, however, as he bounced back with a successful sophomore campaign. As a sophomore, Thor joined the starting linebacking corps and finished in the top five with 37 tackles for Lewis & Clark. Stein echoed Thor’s sentiment about the importance of family in his life, which made the opportunity to play collegiate football alongside his brother all the more special. The connection also served as an extension for Stein from his Truckee days. The teachings of coaches Bob Shaffer, Josh Ivens, Tom Mohun, Rick Wilson and the late Mike Ellis have remained impactful in his life. “I would have never been the man I am today without the guidance, help and criticisms from all my coaches, mentors, teachers and especially my loving parents,” Stein said. 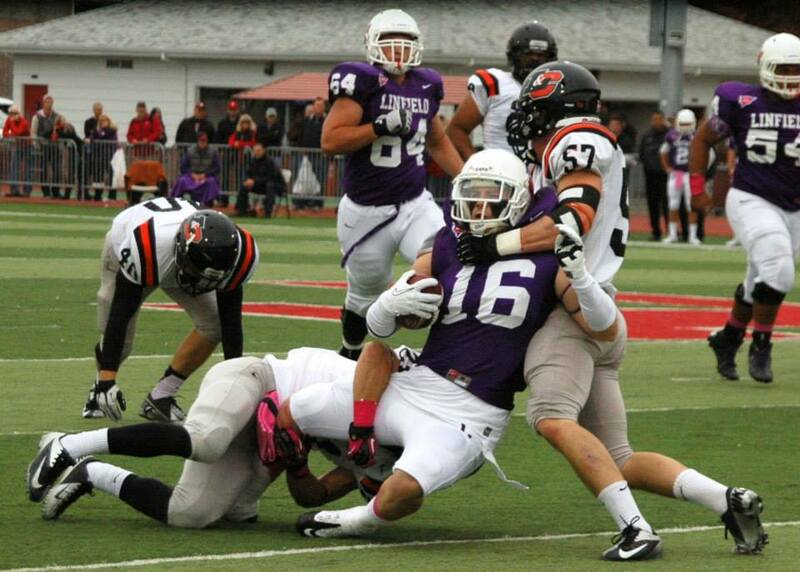 Stein’s accomplishments off the Lewis & Clark football field have been equally impressive. 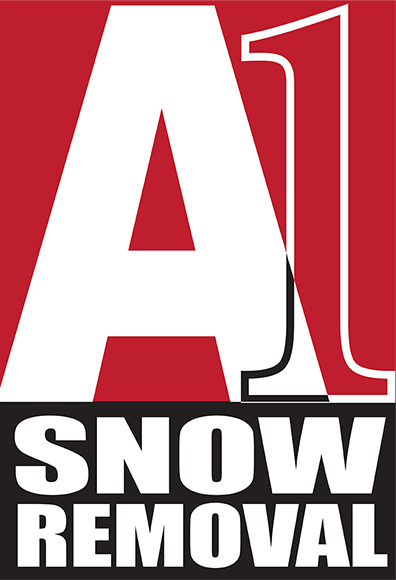 Along with friends Erich Roepke and Hunter Meece, Stein co-founded Intrepid Resource Management, IRM, LLC, an innovative aluminum and recycled materials transportation company. The trio earned a $20,000 start-up grant through Lewis & Clark’s Incubator and Launch Seed Fund, and Stein and Roepke plan to begin a new venture in film following graduation. No matter where the road takes him, Stein plans to remain involved with Lewis & Clark. 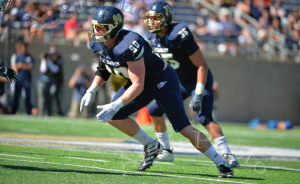 Erik Holmer walked on a UC Davis and was a Red shirt freshman the fall of 2013 playing along side high school teammate Zak Pettit. 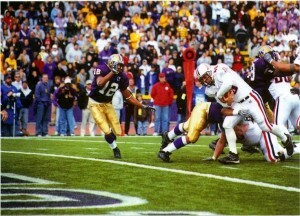 Erik had one of the best playoff runs a QB has ever had at Truckee High school. Erik was also a defensive leader for the Wolverines for two seasons playing linebacker. Holmer made the transition to the defensive line where he played defensive end for the Aggies. He also played some Outside Linebacker in a 3-4 defense. 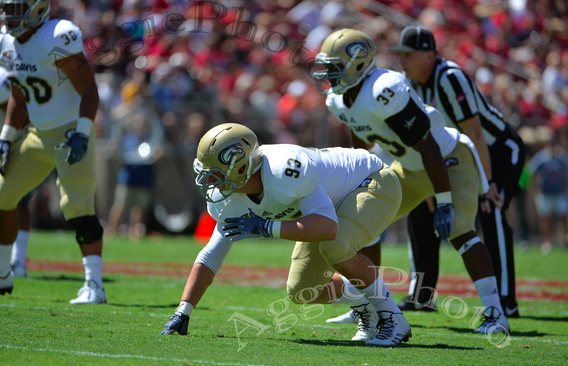 Erik worked hard and put on weight to work into a starting position vs Stanford in 2014 season opener. 2014: Played in just three games (Stanford, Colorado State, Sacramento State)… Recorded a tackle in each of his three games, including a solo stop in the Causeway Classic. In 2015 Erik played in 11 games, recorded 11 tackles, and had a pass deflected. Erik comes back in 2016 as a junior. Homer earned himself a scholarship the fall of 2016. In his junior year Erik recorded 15 tackles and he was moved to Outside Linebacker which will be a better fit for him going into his senior year. Holmer in 2016 got to play vs the Oregon Ducks in Eugene Oregon. Erik is the most recent Wolverine to finish 4 years of college football and he is part if a very small group in Truckee history who played Division I football. Congratulations on a great college career and we know you’ll make us proud moving forward into the rest of your life. Thor was the fastest player to get 80 tackles in my tenure. He was at 80 tackles in just 6 games.Thor joined his brother at Lewis & Clark but spent his first year on the shelf having surgery on his bad shoulder. He is fully recovered and he had a great freshman year playing along side Stein. Thor is the only kid from his High School class who continued playing football. In 2015 Thor made an impact for the Pioneers. This was the first season in Thor’s playing career that he never missed a game due to injury. He played in 9 games recorded 37 tackles, 5.5 tackles for loss, 23 solo tackles. In 2016 Thor had 44 tackles, 6 of which went for a loss. His best game was vs Pugent Sound where he recorded 13 tackles! In Thor’s senior year his statistics dropped and he had 14 tackles on the season. 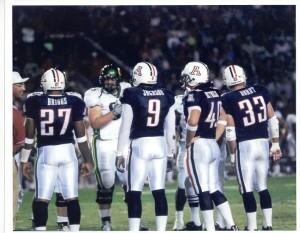 Thor finished out his playing career and joins the group of Wolverines who played four years of college football and graduated. He has since moved on to do great things! 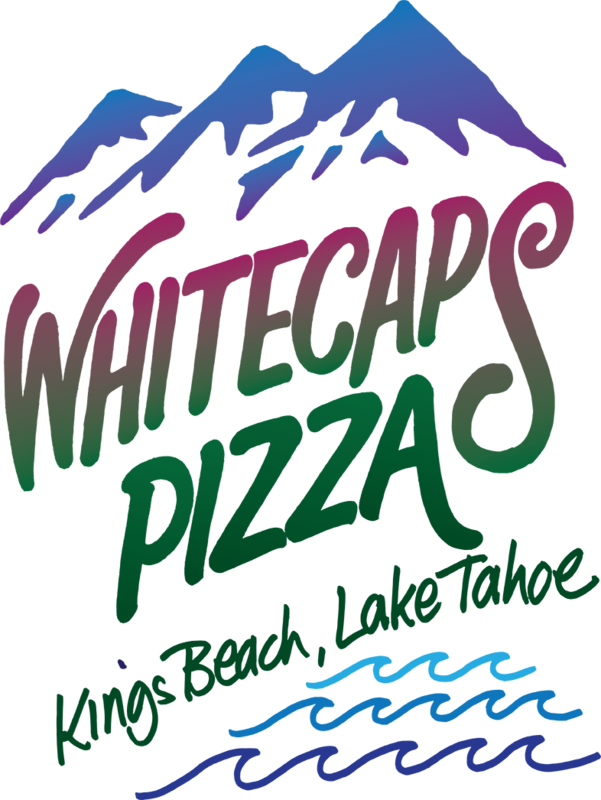 or email us at info@truckeepride.com.